H+P: How long have you been running for? 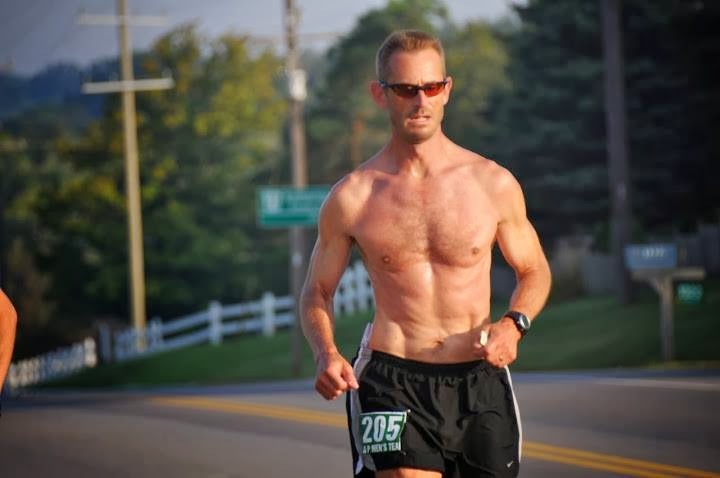 DR: About 11 years now, Started out more focused on Duathlon but quickly found I was a much better runner than cyclist. H+P: When did you first realize: You know what, I am going to push the envelope here and see how far I can push my limits? DR: I came in about 364 out of 700 in my first Duathlon (The Brick, now Victoria's, in 2003). I had no clue what I was doing but I was hooked. I saw how I could improve in so many ways. That appealed to both my analytical and competitive sides. H+P: You've competed in an array of very challenging races. 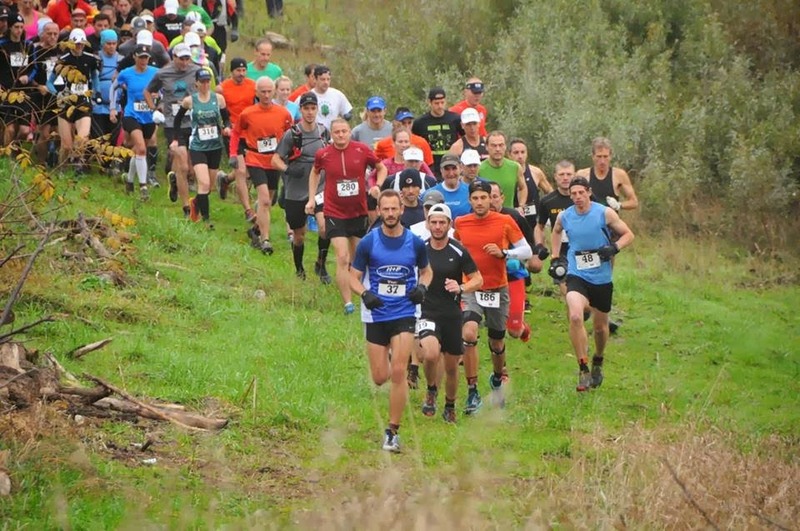 What is the toughest race experience you've ever had? What happened? DR: Probably the ENDURrun Sport in 2008. By 2007 I thought I was ready to take on the ENDURrun which I'd watched in awe from afar for several years. The first step I decided would be to tackle the last three days of it, the Sport. I had a great first two stages and then my worst marathon ever. Like my first Du I realized how much I didn't know. I learned so much and got a solid sense for what and how I would need to improve in my training to tackle the Ultimate week long event and came back in '09 to run the full week and PB'd the marathon on the last day. H+P: There are so many different distances, terrains and ways to race these days- what type of race do you excel at? What type of race is your greatest weakness? 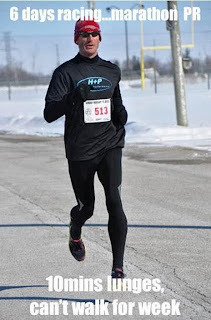 DR: My results show I do well in season long event series (Subaru ODS '07 Age Group win, OUS 50K Challenge Cup '12 win) and stage events like the ENDURrun at which I've always finished strong. My weakness is definitely the standalone marathon, where I have always under-performed from what race comparative number crunching says I should be able to hit time-wise. 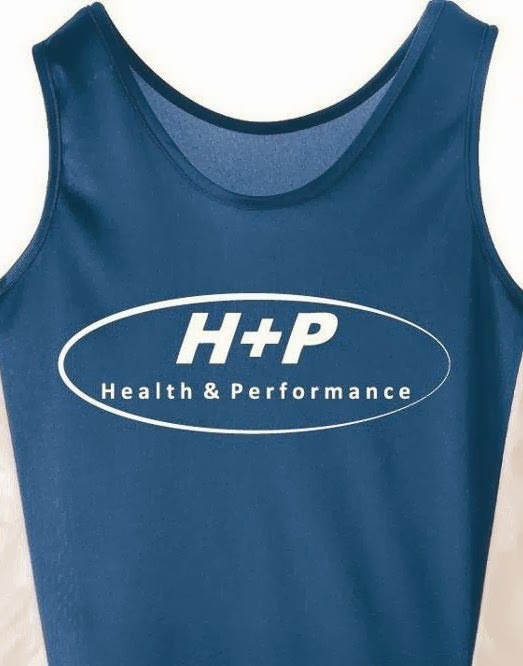 H+P: You're a very knowledgeable runner who is constantly tweaking your training to achieve different goals. Were you ever surprised by how much one form of training (i.e. adding more mileage, adding intervals) changed your performance? Was there ever a type of training that ended up not giving you the results you expected? DR: Surprised? Definitely. I think the key is varied training. When I started I was running training 10K's at the same pace that I could race them. Basically plateaued in my first year of racing. Then I learned to apply two main overarching and co-dependent training themes. Number one is run slower in training to race faster, and number two is run faster in training to race faster. I started to apply those themes day over day, week over week, and across the calendar year and was amazed at the near immediate improvements and I'm still setting PB's a decade later. The only type of training that I have found that does not deliver results is unfocused, inconsistent training - nothing can or should be expected. I don't mean having every day planned out, but at a minimum I need to have an overall structure to a season, with key races and workouts (rough build up plan, long runs, and big blocks) penciled in. H+P: What made you decide to join H+P? What's your favourite thing about the group? DR: My reasons to join H+P were many. Probably the biggest was just to keep my training fresh. 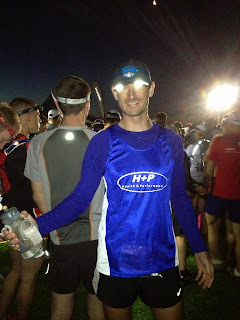 Joining H+P got me out of a couple of comfort zones by adding in group training and evening training. As I typically fill in my detailed training more on a day to day basis, H+P fits perfectly as it gives me a couple of workouts a week to let a coach sort the details for the session. It's fun to just show up, hear the workout, and hammer. It is also awesome to have people to both chase and push with friendly competition and encouragement. I am inspired by each teammate, regardless of their speed, who is out pushing their own limits and comfort zones. H+P: What are the big goals for 2014? 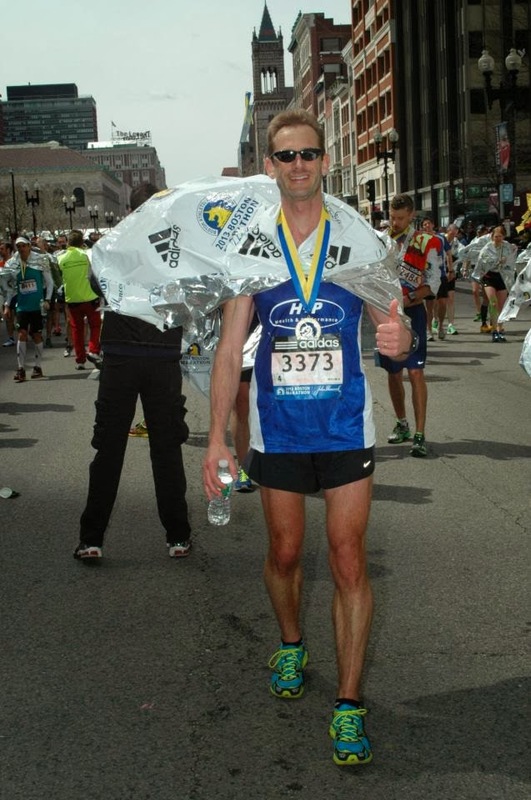 DR: My big goal for 2014 is to not run a marathon or ultra... Seriously, though, and more positively stated, I'm going to focus on "shorter" races, 5K-30K. I'll keep a mix of road and trail. I'll be gunning for a Half marathon PB in the Spring and/or Fall. I'll take another run at sub 38 10K at the Classic in June. 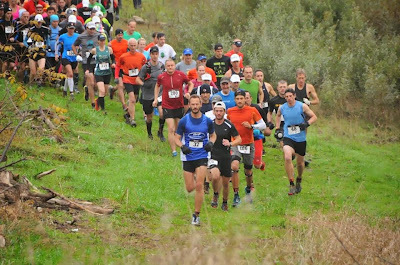 I expect to have fun with that and the other races in the Battle of Waterloo & Waterloo Running Series along with a few other favourites like Around the Bay and the Phlox Run 25K Trail race with my teammates and other local running friends. H+P: Are the rumors of you being sponsored by Doritos true? DR: No Doritos sponsorship yet but will launch a Fall consumption campaign again next year! Hello H+P friends! It's hard to believe another year has gone by. We are very excited for an even better year of training and excellent performances with the team in 2014! Our goal from the start has been to develop a fun training group that also includes the highest quality workouts and coaching. At the same time, wanted to make sure it was accessible to everybody. That is why we started this off as a free group, and it has been an incredible experience since the beginning. This small amount of money that we gain from this will help us to do a number of little things that we wanted to do this year. For instance, buying more sidewalk chalk for the summer TT and having more apparel on hand for when people request something (I think Brendan has been waiting for his shirt for 6 months now haha). The money will be spent on making the club better for everybody in small ways, all year around. So there you have it! We are looking forward to making 2014 even better than the last. Thank you all so much for your support along the way. *We will be putting together a competitive male and female team with our best runners. There will also be at least one fun team. Of course, there is always the option to do the entire thing yourself! Now, time to lay down some base training! First off, the team ended up winning the corporate division in an average time of 19:16. CLICK HERE for results. This was a bittersweet result since this is the last time H+P will be entering in the corporate division in the WRS. Next year, there will be an open team division, where 5 athletes (rather than 3) score points! Holger also had a successful H+P debut. While he was not happy with his time, he still was third place on the team, and placed 4th in his AG! Mailman made a great return from injury, coming in 13th overall and 2nd in his AG! Vicki had an outstanding H+P debut, finishing in 3rd in her AG, and not far off her PB despite running in a Santa Suit! Will, despite battling a cold that popped up just days before, still managed a 6th place in his category! And finally, Mark Potvin (below) really, as he likes to put it, "stayed alert, and stayed safe" out there! Congrats to everybody who competed in the 2013 H+P Holiday Party Relay. I think it is safe to say that NOBODY loses a holiday relay. More importantly, it is widely understood that completing this standardized challenge in under 2 minutes is considered elite- and every single team achieved this feat comfortably! A HUGE congrats to Holger for winning the picture voting challenge- He was really working the pipes when this one was taken! Finally, here are some other great pics from the party! 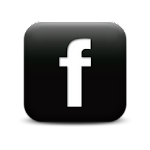 Check out the full collection in our Facebook Album.